The kidneys are two bean-shaped organs lying in the lower abdomen. They remove the waste products from the body. 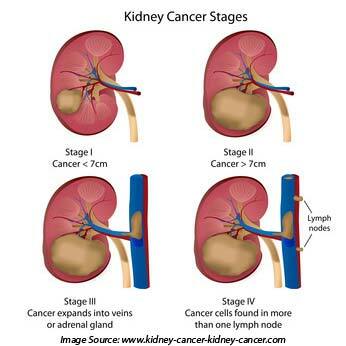 Kidney cancer is a disease where the cells of the kidney turn cancerous and grow out of control. It is also called as renal cancer. The exact cause of is unknown, but there are numerous risk factors such as smoking, drinking alcohol, obesity, high blood pressure, etc. Smoking: Smokers are twice as likely to develop kidney cancer as non-smokers. This is irrespective of whether you smoke cigars or cigarettes. High Blood Pressure: A high blood pressure is an important factor since it can trigger uncontrolled cell growth in the kidneys. Obesity: Obesity is a very common risk factor for developing almost all forms of cancer. This is especially because in obesity the body is in the continuous process of developing new cells. As a result, the cell growth may become uncontrolled leading to cancer. Von Hippel Lindau Syndrome (VHL): This is a rare genetic disease caused by changes in the VHL gene. This gene instructs the body to make proteins that play a significant role in the protein complex. The main function of this complex is to degrade other proteins that are not required by the cells. In VHL syndrome, there are changes induced in the gene owing to mutation and hence, the protein degradation does not take place properly. This can be a risk factor for cancer, cysts or tumors. Dialysis: While dialysis is meant for people among whom the kidneys do not function properly, a long-term dialysis is a risk factor for uncontrolled growth or accumulation of a large number of cells in the kidneys thus causing kidney cancer. Occupation: Some people who come in close contact with different chemicals like iron, steel, cadmium and asbestos are at risk. 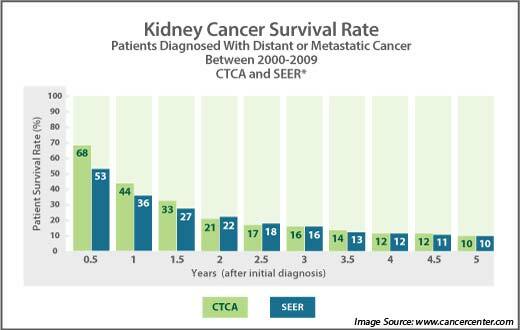 Gender: Men are more likely to develop kidney cancer than women. Renal Cell Carcinoma: It originates in the lining of proximal convoluted tubule. It is that part of the kidney that transports waste particles from the blood to the urine. It is the most common type of cancer, and about 90-95% of patients suffering from kidney cancer are affected by this type of cancer. Transitional Cell Carcinoma: It occurs in the urinary system affecting kidney, bladder and other accessory organs. Only 5-10% of the cases are malignant. This is the first step towards establishing any disease. 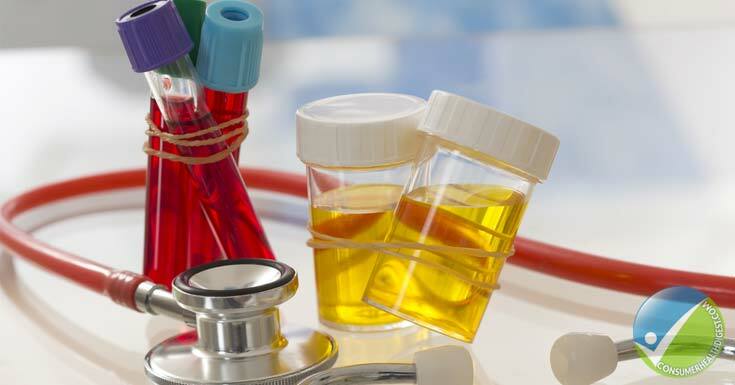 The blood tests and urine tests give the doctor clues on the causative agent behind the various signs and symptoms. 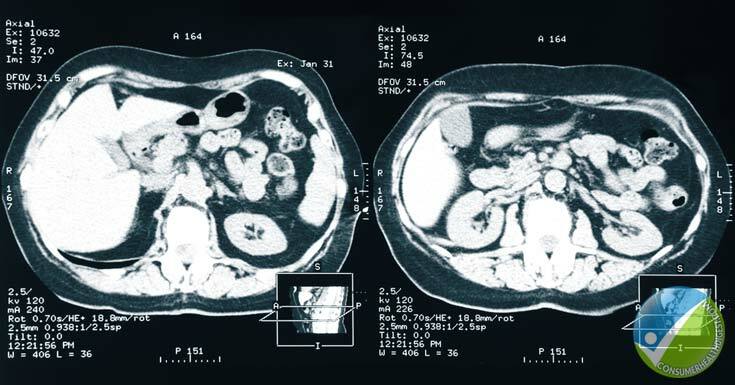 Once the blood tests establish the factor, imaging tests like Magnetic Resonance Imaging (MRI), Ultrasound or computerized tomography (CT) are performed. These tests allow the doctor to have a closer look at the kidney for tumors and other abnormalities. A biopsy is recommended to confirm the cancer and its extent. 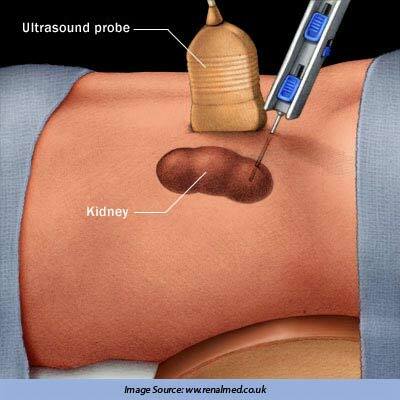 In this procedure, the doctor removes a small sample of the cells from a suspected area of the kidney and is tested in the lab for signs of cancer. There are various treatment procedures available. However, the best approach depends on the extent of the cancer, health, type of cancer and personal treatment preferences. Nephrectomy: In this kidney, adjacent lymph nodes and a border of the healthy tissues are removed. Nephron-Sparing Surgery: This involves removing only affected tumor and instead of the whole kidney. 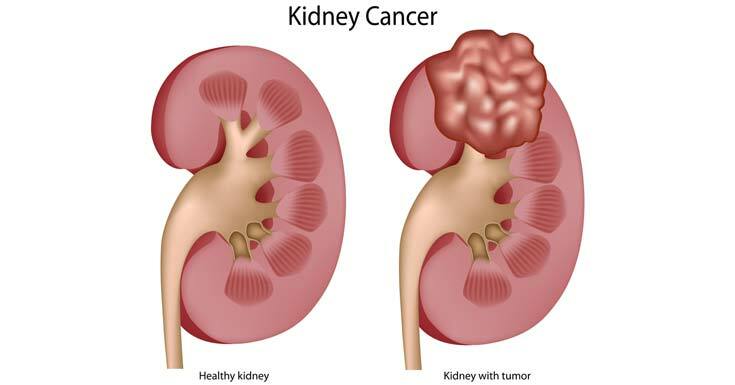 This is a common treatment method in case of smaller kidney cancers and if the patient has only one kidney. Cryoablation: This is a procedure adopted to freeze the cancer cells. Radio-Frequency Ablation: While cryoablation freezes the cancerous cells, radio-frequency heats the cells thus burning them. The best way to avoid any form of cancer is to adapt a healthier lifestyle. Controlling obesity, maintaining a healthy weight, controlling blood pressure and quit smoking are the best ways to reduce the risk. Post treatment procedure, the patients are advised to maintain a regular diet of fresh fruits and vegetables. They are advised to have their meals on time and avoid a sedentary lifestyle. It is possible to fight cancer. A doctor declaring cancer is like pronouncing a death sentence for many. However, this is a misconception. It is easier to cope with the treatment procedures and lead a healthier life later once the shock and fear of cancer and its allied treatments are overcome. You May Also Like To Read: What is Kidney Disease?